JIRA is being used because it has the best work flow for managing software project. 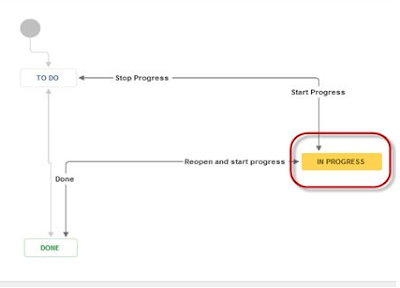 Thus, we will learn here about the whole work flow of JIRA software project management tool. 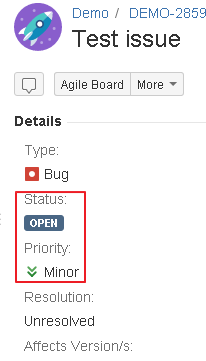 First you need to create an issue with assigning priority. If issue blocks the software web application then select priority as ‘Blocker’, If issue has high priority and it is harm the major functionality of the application then select ‘Critical’, If issue has medium priority and not affected more to the software application but still it occurred then select ‘Minor’ status for it and last status is ‘Trivial’ which we can use for posting UI issues or designing issues. Find above picture which will help you to figure out about different priorities for issues. Now we can move to the next step by selecting status of the issue. Status is the key word for deciding work flow. 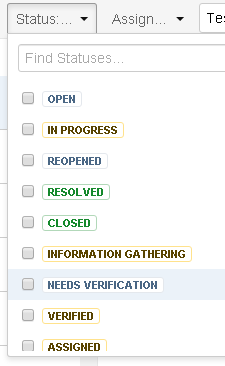 When user first time posts an issue then it has ‘OPEN’ status which indicates that it has initial level. When developer starts to solve the issues then he marks it as ‘IN PROGRESS’ which indicates that he has started to solve the issue of software application. When progress stops then developer can change status as ‘TO DO’ and when he is done with issue then he can assign status as ‘DONE’. Resolved indicates that issues have been resolved so quality people and testers can start their work for verifying the issue. So when developer confident enough about solved issue then he can mark an issue with ‘RESOLVED’ status. 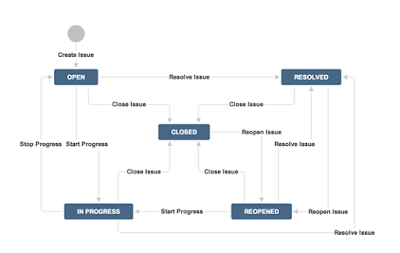 When issues have not been solved properly then testers can change the status from Resolved to ‘REOPEN’. This is indicates that when QA team verified the resolved issues and find the same issue again then he can change its status and let developer know that something went wrong and they need to work on the same issue again. Close indicates that issues have been solved successfully. No changes are needed after wards. 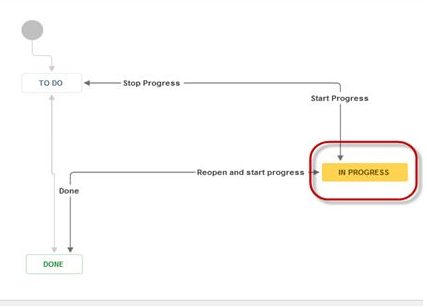 QA People can change the status from Resolved to ‘CLOSE’ or from Reopen to ‘CLOSE’. Thus, close is the last status of the process. Once an issue has been closed then we can give assurance that it won’t be reproducing again then and only then we can ‘CLOSE’ it. Now we will see the whole work flow which has been followed by JIRA. Here it is in Open status. Now developer starts to solve it so he can mark in as ‘In Progress’. When progress has stopped the he can change status from In progress to ‘To Do’. After completing the process he can mark it as ‘Done’. When an issue of the application has been solved then developer can mark it as ‘Resolved’. Thus, QA people can start verifying that posted issue. Now if they stuck again with same issue then they can ‘Reopen’ the same issue by assigning status as ‘Reopen’. Now again developer need to solve it then QA people again check it and mark it as ‘Close’. This is the whole flow of the JIRA. This is the very easy to understand and we can see that how effectively it manages whole software application or project. If we are getting issues in middle of the development still we are able to fix it and continuing flow.